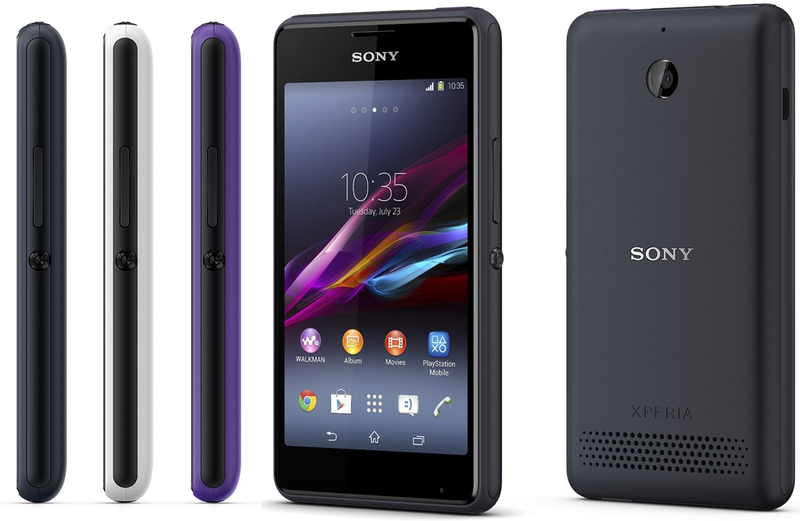 Sony announced new Sony Xperia E1 Walk-man based smartphone with many extra-ordinary features Android 4.3 Jelly Bean, 4'' display with 800 x 480 resolution, 1.2 GHz dual-core Qualcomm Snapdragon 200 processor, 512 MB RAM, 4 GB of storage and 2 GB available to the user, microSD support, 3 mega-pixel camera, HSPA+ connectivity, 100 Db speaker, 1,700 mAh removable battery.Biggest attraction there is the gargantuan loudspeaker, available in black, white, purple colours. You've got the power. and speed, too.